President Trump has proclaimed that Sunday, September 3rd, is a National Day of Prayer in honor of the victims of Hurricane Harvey. 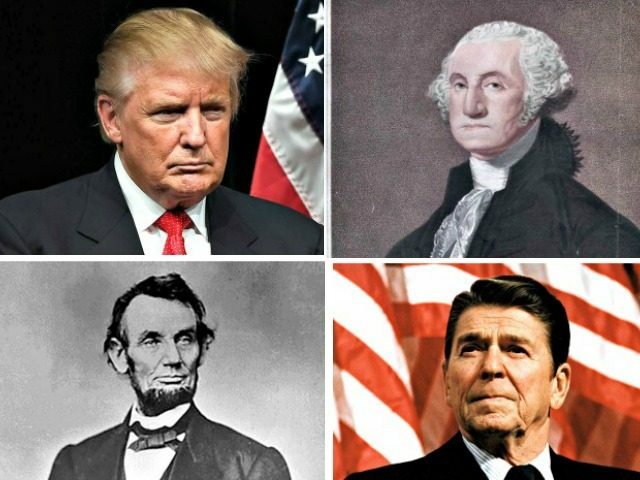 He follows an honored tradition by doing so that was carried out by other Presidents including George Washington, Abraham Lincoln and Ronald Reagan. President Washington famously said in his first inaugural address, “No people can be bound to acknowledge and adore the Invisible Hand which conducts the affairs of men more than those of the United States.” These were the very first words spoken by a US President. Congress passed a resolution on September 25th, 1789 that called on President Washington to proclaim a National Day of Prayer and he did just that. He proclaimed that November 26th, 1789, would be a day to “offer our prayers and supplications to the Great Lord and Ruler of Nations, and beseech him to pardon our national and other transgressions.” Washington’s proclamation begins with, “Whereas it is the duty of all Nations to acknowledge the providence of Almighty God, to obey his will, to be grateful to his benefits, and humbly to implore his protection and favor.” It goes on to encourage Americans to pray in their homes and churches on that day. John Adams and James Madison both issued proclamations for a National Day of Prayer. Madison issued four of them. Abraham Lincoln famously called for a Day of National Humiliation, Fasting, and Prayer on March 30th, 1863. The tradition continued throughout our history until Congress in 1952 enacted a statute calling upon the President to proclaim a National Day of Prayer once per year. President Reagan signed amendments to the 1952 law in 1988, making the first Thursday of each May the National Day of Prayer for all Americans. But a number of Presidents have declared National Days of Prayer in addition to that date in May. Many times in response to national tragedies. President George W. Bush did so after the terrorist attack on September 11th, 2001. It signifies a coming together of Americans and unity in the face of catastrophe and hardship. When Trump did this, it triggered the left big time. No surprise there. They claim it violate the Establishment Clause, which it doesn’t. That provision of the Constitution’s First Amendment says the government shall not establish a religion. Which is just ridiculous, because it does no such thing… not even close. The Supreme Court has already settled this argument reaffirming in its 2014 ruling on Town of Greece v. Galloway, that all the Establishment Clause forbids is the government officially adopting a national religion or coercing Americans to participate in a religious activity that violates their conscience. No one is being forced to pray or go to church. No one is being threatened with prison if they don’t do so. So, there is inherently no violation of the Establishment Clause here. Put a sock in it already. 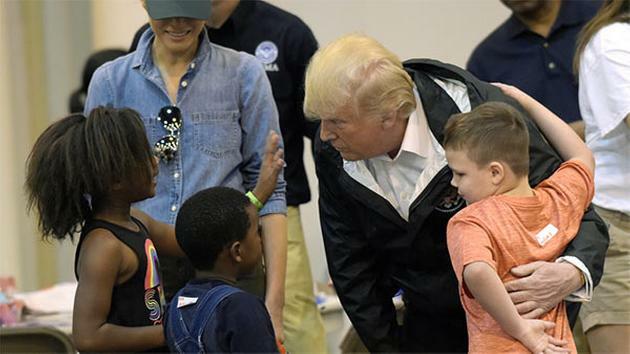 President Trump is calling for Americans to come together to help the victims of Hurricane Harvey and to pray for them if they wish to. I think it is a wonderful and appropriate move by the President. Today, President Trump and First Lady Melania are attending a church service on a National Day of Prayer for Harvey victims at St. John’s Church near the White House. Trump has also asked Congress to approve $7.9 billion for initial relief efforts when lawmakers return to Washington on Tuesday.